Irish-Born Civil War Medal of Honor Recipients: The Complete List? One of the main resources added to this site at an early stage was the list of Irish-born Medal of Honor recipients. Drawn from a number of different sources, I have found occasion to add the names of additional men over time, as it became apparent that they were in all probability of Irish birth. The list currently stands at 143 individuals, and to my knowledge is the most comprehensive listing of Irish-born Civil War Medal of Honor recipients currently available. It is thanks to these and a number of other additions that the total number of known Irish birth currently stands at 143- although it seems probable there may well be more men to be added to this list. Some 1,527 Medal of Honor awards were made for service in the Civil War, so based on these figures Irish-born recipients account for almost 10% of the total. Interestingly 50 of the Irish-born recipients were sailors, highlighting an aspect of Irish service in the American Civil War that remains seriously understudied. It is also apparent the majority of awards went to Irish-born men who served in non-Irish units, as fewer than 20 recipients served in what might be termed ‘green-flag’ ethnic Irish regiments. 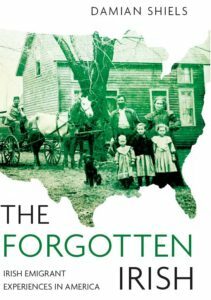 A number of these mens stories have already been explored on Irish in the American Civil War, and more will follow. I am also embarking on a more detailed study of the Irish-born recipients of the Medal of Honor during the American Civil War; if any readers have information on any of the specific men on the list, or suggestions as to additions or corrections, I would be very eager to hear from you. 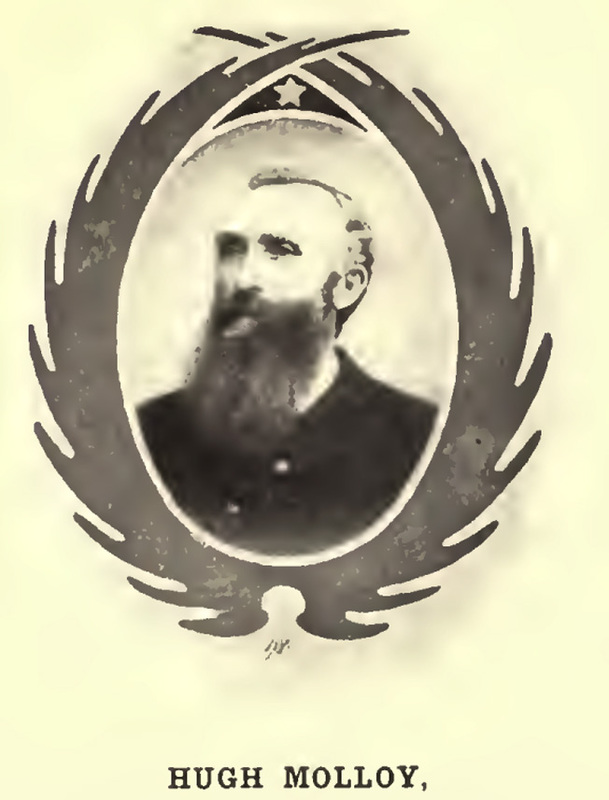 Lt. John.J. Nolan was an ardent Fenian. He was sent over with O’Mahony’s first group of Irish-Americans. I have read that he was present at the Chester Castle Fiasco but left no written account of what happened. Ricard O’Sullivan Burke blamed McCafferty for its failure.Nolan is buried in St. Raymond’s cemetery in NYC. This cemetery is famous as the place where Bruno Hauptman tried to get exchange money for kidnapping the Lindberg baby. Captain Charles McAnally is an unbelieveable soldier. He was wounded four times, including a saber blow to the head at Gettysburg. His burial spot has never been found. Post war he spent much time in Texas. Within the last ten years Sergeant Martin Conboy, 37th NY, was discovered to have been born in Ireland. This was covered in the Irish American magazine. Some of his U.S. military records had assigned him to New York—not true! Thanks for that- I just discovered that a couple of days ago! Another one to be added, I suspect there are more! Nicholas Fox, my grandmother’s uncle, was actually born in County Meath, not in Cork, on probably the 3rd or 4th of November in 1844. At any rate, he was baptized in the church at Oldcastle on Nov. 5, 1844. We had been told when growing up that the Fox ancestors were from Westmeath but after some serious ancestor searching only lately, we discovered they were from Meath. He was the son of Patrick Fox and Catherine Gibney and had eight brothers and sisters, six of whom were born in Oldcastle. The family emigrated to the U.S. around 1855 and settled in Greenwich, Conn., where his two youngest brothers were born. In middle age he moved across the Greenwich town line to Port Chester, NY, where his employment was, and lived the remainder of his life as highly respected citizen of the town. He died on Oct 2, 1929, just 13 days before his younger sister, my great-grandmother. That is superb information thanks for passing it on! The connection with Oldcastle is particularly interesting, I have a friend from near there who would be fascinating to learn that connection. Did you locate them in the parish registers? There really is so much work needed on Irish Medal of Honor recipients, we know so little about them.